Whether you want to stay in or go out during Thanksgiving break, this list has you covered. Thanksgiving is finally upon and that means folks can expect to have full bellies and a touch of the “itis” making it the perfect time to see some fantastic films. While plenty of people are mapping out their Black Friday gameplay, others are planning to stay home and veg out after turkey time. If you’re up for braving big crowds, there’s a whole lot of melanin magic popping off at the box office. Michael B. Jordan stars in Creed II, Jamie Foxx revitalizes Robin Hood, and Viola Davis is showing off her skills in WIDOWS. If you’ve got little ones in tow, you can treat them to the sound of Taraji P. Henson‘s voice in Ralph Breaks The Internet and if you want to see a great performance by Mahershala Ali and can stomach the white savior story of Green Book, you can check that out too. This film is a deliciously silly, heart-warming musical that’s sure to lift your spirits. The film is a neon soaked, modern day romance set on the streets of London’s Camden Town. We follow Simone (Michaela Coel), a dedicated single mother who, on a rare night on the town is charmed by a handsome yet troubled stranger, Raymond (Arinze Kene); igniting old and new feelings. Set against the backdrop of an ever-changing city, the musical offers a fresh take on love, life and moving on. If you haven’t seen the masterpiece that is Blindspotting, now is the time to check out one of the best movies of the year. 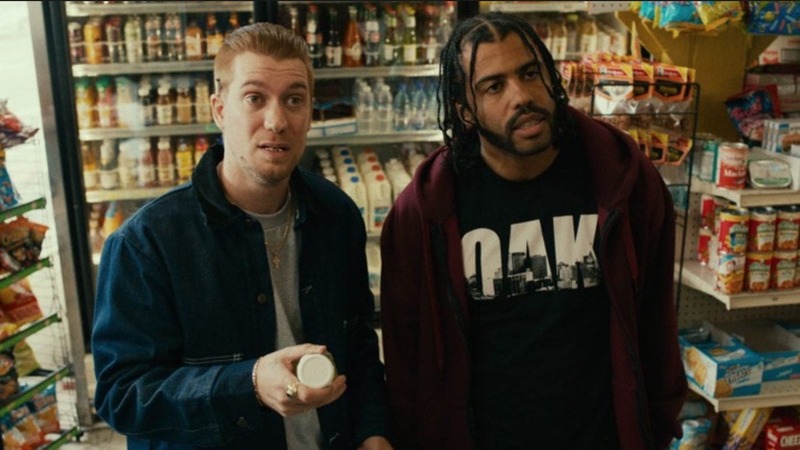 The film was written by its stars, Daveed Diggs and Rafael Casal, and manages to deliver a deeply-moving commentary on some of the most important issues facing our community, wrapped up in a disarming, buddy film. Lee Daniels directed the gritty film that stars Keke Palmer as a lesbian pimp whose lifestyle proves to be more than she can manage. While this certainly isn’t a movie for the whole family and several aspects leave much to be desired, Palmer’s transformative, near-perfect performance is worth a watch. If you’re looking for a way to entertain the whole family while staying away from the shopping rush, Motown Magic is your best bet. Even though it’s not a film, the new animated series from Netflix made the list because it’s awesome and features mesmerizing music inspired by Motown. Motown Magic follows Ben, a wide-eyed eight-year-old with a big heart and an amazing imagination, who uses his magic paintbrush to bring the street-art decorating his city, Motown, to life. Smokey Robinson serves as executive music producer of the series that will feature classic Motown hits covered by artists including Ne-Yo, BJ the Chicago Kid, Skylar Grey and Trombone Shorty. The beloved host of The Daily Show is back with his second comedy special for Netflix and he’s serving up his own brand of humor-covered commentary on the sad state of our union among other things. “We’re living through a time when we are all learning about the presidency at the same time as the president. That’s never happened.” If you’re looking for a way to laugh off the leftovers, check it out.